You may opt out of any future contacts from us at any time. You can do the following at any time by contacting us via the email address given on our website or by clicking the “unsubscribe” at the footer of all our emails. M&O has implemented technical and administrative measures to protect your information. When you submit sensitive information via the website, your information is protected both online and offline. We use encryption to protect sensitive data transmitted online and only employees who need the information to perform a specific job are granted access to it. 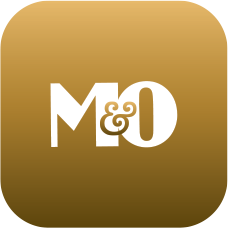 M&O uses the AdWords and Google Analytics cookies to inform, optimize, and serve ads based on your past visits to our Site. This means that vendors including Google will display promotional material on other sites you visit across the Internet.